institution of higher education and research in the Baltic countries and belongs to the top 3% of the world’s best universities. Renowned scientists Wilhelm Ostwald (Novelist and founder of physical chemistry), Karl Ernst von Baer (founder of embryology), and many others studied and taught here. 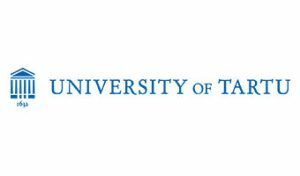 With more than 13,500 students and 1,700 academic staff members organised into 4 faculties and 2 colleges, UT has annually been awarded about 50% of state research grant funding and accounts for more than half of Estonia’s annual research output (3000 scientific publications, 100 doctoral defences). leading the last of these. Also will give contributions to task 9.3 from WP9.